A multifaceted human approach to helping clients. We focus on your long-term success and growth. Collaboration and teamwork helps drive toward excellence. View our list of specialties. Learn about the founding partners. Executive and C-Suite clients seeking transformational thinking and visionary change turn to us. Along the way, wisdom taught us perspective, open-mindedness, persistence, humor, humility, fairness, kindness and an appreciation for excellence which comes from collaboration and teamwork. We are proven agents of change, having predicted and led many companies to a healthy future. We have ensured viability and success for hospitals, clinical groups and other healthcare related companies throughout the U.S. and abroad. Our team has resolved challenges in the areas of governance, leadership, clinical care, patient improvements, financial analysis, formalized education and organizational structures. We are personal coaches, mentors and confidential advisors. We steer our clients to comfortably make transformational changes. From training workshops to analyzing vexing medical issues, we are direct and straightforward. We are coalition builders, keeping our eyes on future scenarios. Thomas Royer, Peter Maddox and Jay Herron, collectively, have more than 100 years of experience in the cockpit of some of the most recognized healthcare organizations in the United States. 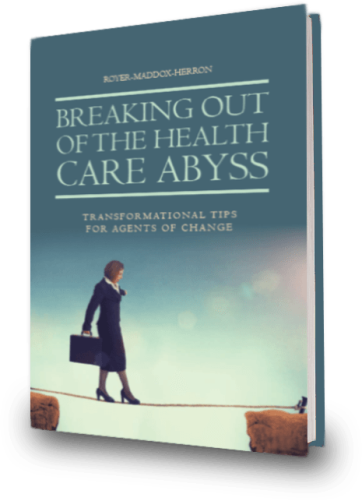 It is their intent to help readers successfully lead their organizations through a transformational journey in the current turmoil in the health care industry.